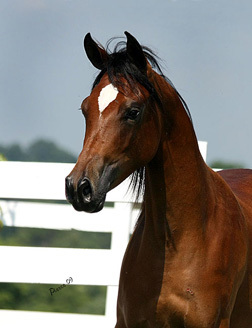 MARSALIA is a young, beautiful, stylish bay mare bred by Tom & Martha Salome, the revered breeders of her sire the famous champion Thee Desperado, who is known worldwide. 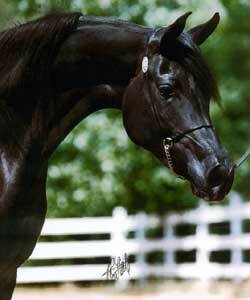 Her dam is BLACK and an Egyptian Event Reserve Champion Mare. 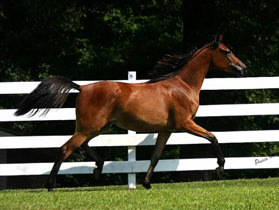 Her dam is sired by the BLACK Halter and Country Pleasure Driving winner, Ali Azimm, and out of a Halter and English Pleasure winning daughter of Moniet El Sharaf. 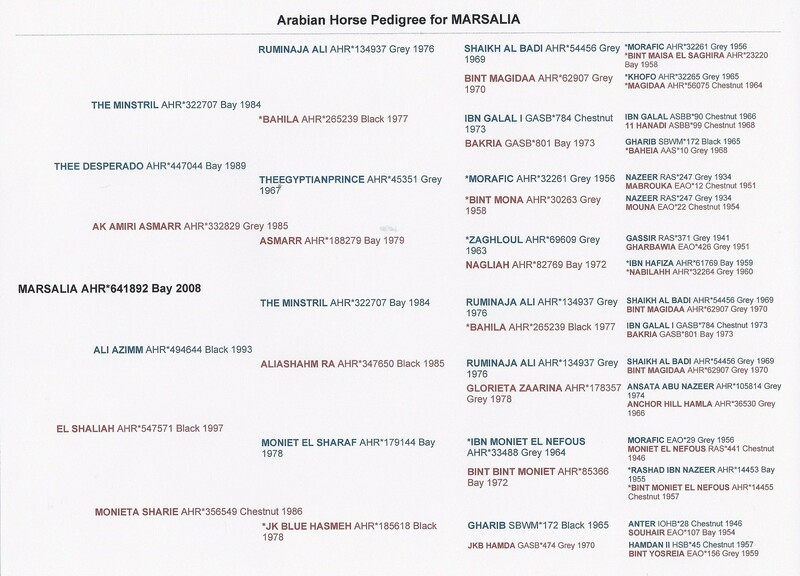 Marsalia is 15.oH tall with a classic face, dark liquid eyes, beautiful long neck and a clean throatlatch. 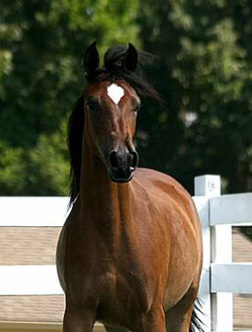 She has a elegant, but solid body and bone with good legs. 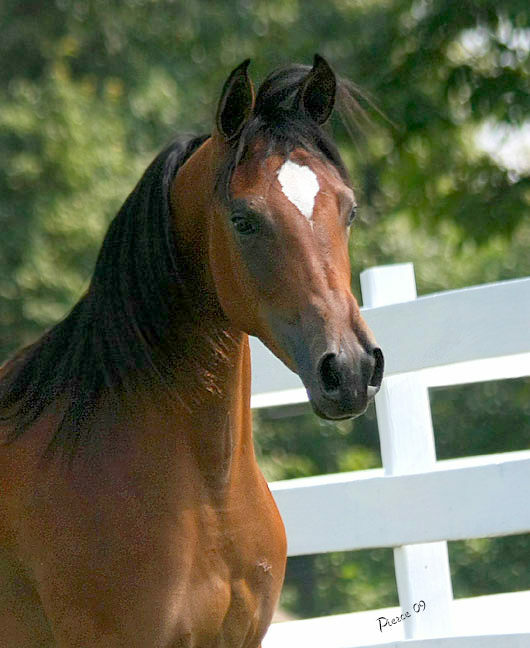 She has an exceptional ground-covering stride that is a joy with watch. 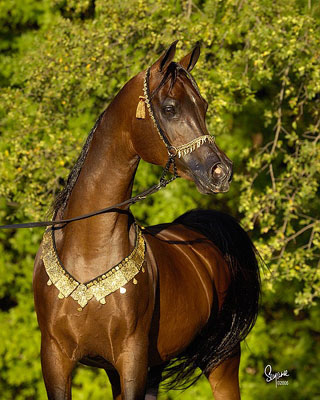 And her personality is sweet, attentative as Arabians should be ! 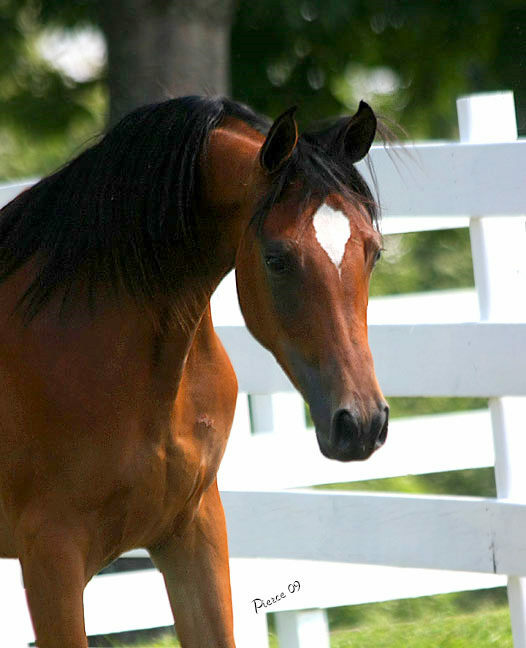 Marsalia will add beauty, performance, and the added bonus of BLACK foals to our program! We ARE honored to have her in our lives and am anticipating a great future with her ! !